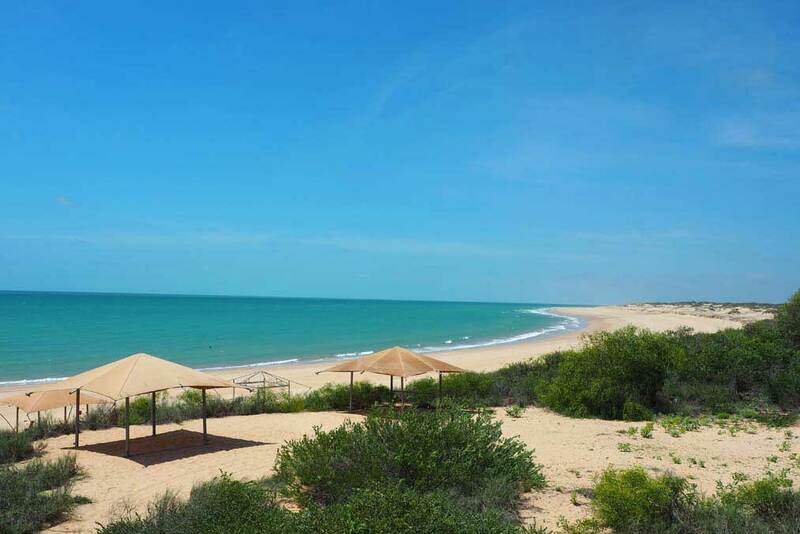 Hidden away at the end of a red dirt road near Broome is Ramada Eco Beach resort. 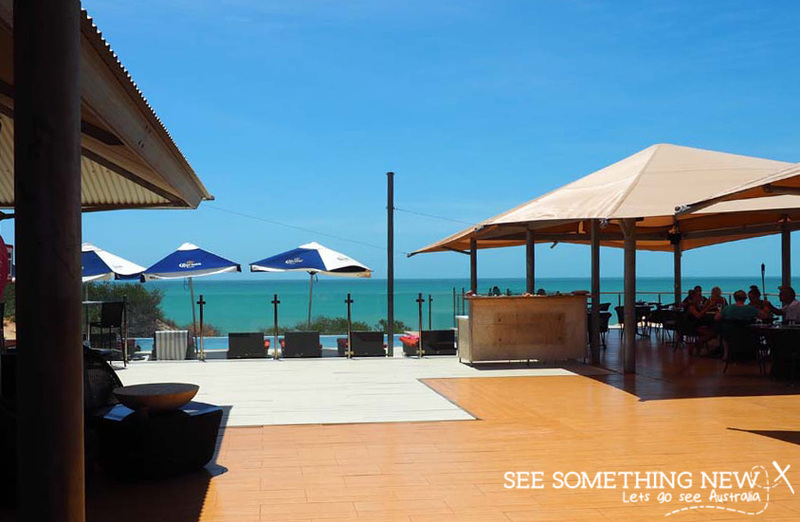 It’s one of Western Australia’s best remote resorts and home to Jacks Bar and Restaurant. Jacks boasts one of Australia’s most pristine restaurant views, looking out over a sweeping bay of creamy white sand and aqua water. 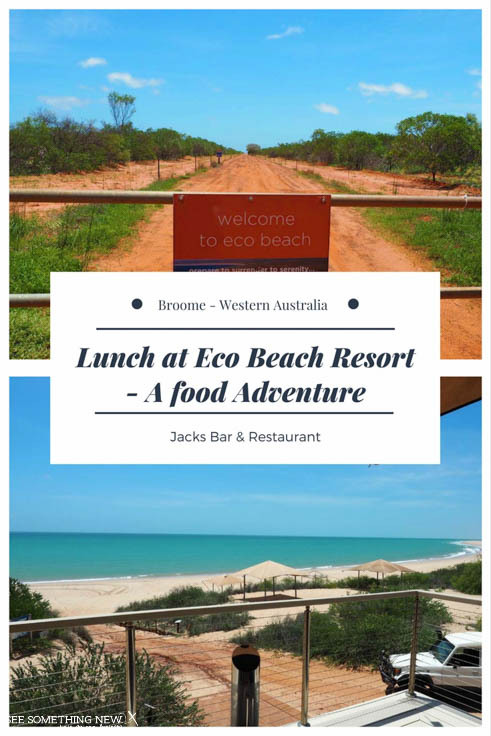 At just 1 hour 30 minutes drive from Broome, Eco Beach Resort is a worthwhile day trip. 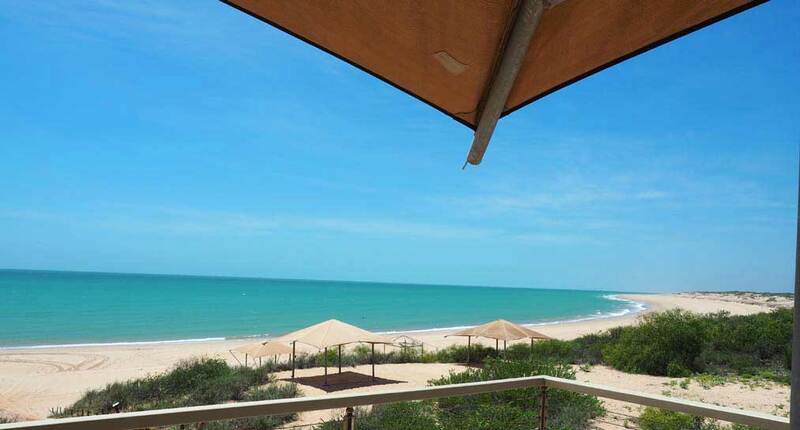 Temperatures in Broome are more comfortable in the dry season from April – November. The least humid and coolest weather is usually between June and August. Only dinner bookings are essential, however its best to book in for breakfast or lunch too, so they are expecting you. It’s also a good idea to check on the condition of the dirt entrance road if there has been lots of rain. 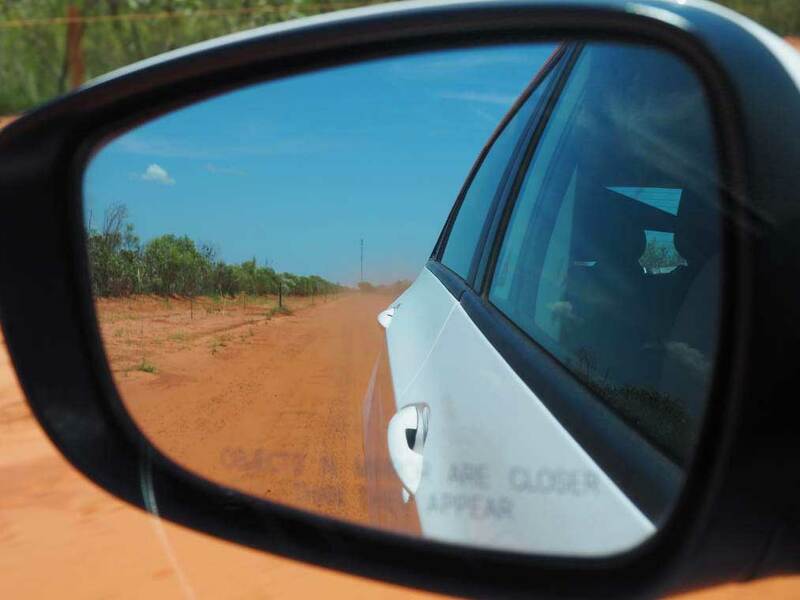 Following a GPS or map, head out of Broome towards the Roebuck Plains Roadhouse. Just past the road house turn right and head south along the Great Northern Hwy for about 85 kms. There is a small sign pointing out the right turn to Eco Beach Resort and the last 10km is dirt. There is nothing more exciting than turning onto a red dirt road and wondering whats at the other end! 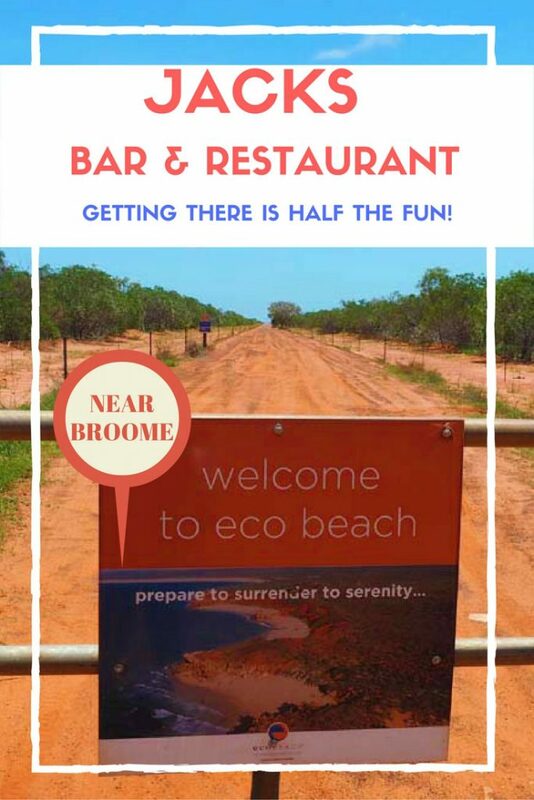 Broome Broome car rentals will let you take a 2wd on the 10km dirt entry road (most other companies won’t, we had to cancel our booking with a large company). Broome Broome also have good package deals with 4WD’s which you may need if the entrance road is wet. On arrival at Eco Beach Resort park in the visitors car park and walk down the road to the resort. When you climb up the steps and it opens up on the view you realise all the effort was worthwhile! The restaurant looks out over the dunes, the long curving beach and the aqua water of the ocean. The experience of enjoying a meal with this view is my favourite bit of visiting Jacks Bar and Restaurant. We were quite surprised at how reasonably priced the food was considering the remote location. A bowl of chips and other sides were under $10, a gourmet main salad less than $20, seafood dishes started around $20 and steaks from about $40. The food was all presented beautifully, garnished well and made with fresh tasting ingredients. They catered for vegetarians and the dressings and sides were made and cooked with the same care as a main meal. 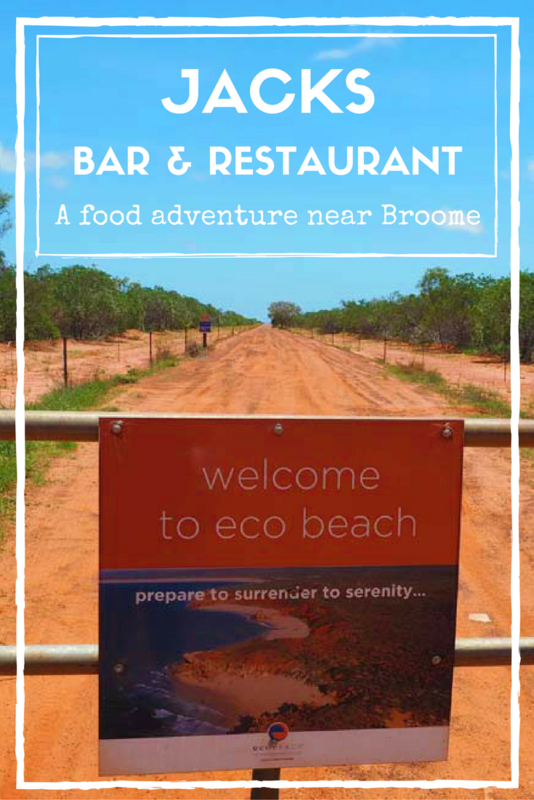 Like most restaurants in Broome, Jacks Bar and Restaurant has a pretty relaxed vibe. The staff are friendly and the table service was well organised. Once you’ve finished eating at Jacks Bar and Restaurant, burn off some of lunch with a long walk along Eco Beach. You can walk for hours along the beaches around Jacks Bar and Restaurant or just hang out under a tent! We just booked for lunch but wished we were staying a week. Ramada Eco Beach Resort itself has a large range of accommodation options to choose from. It caters for budget/intermediate through to luxury options, with eco tents starting from $225 per night in the peak period (dry season) and as cheap as $100 in the wet season! 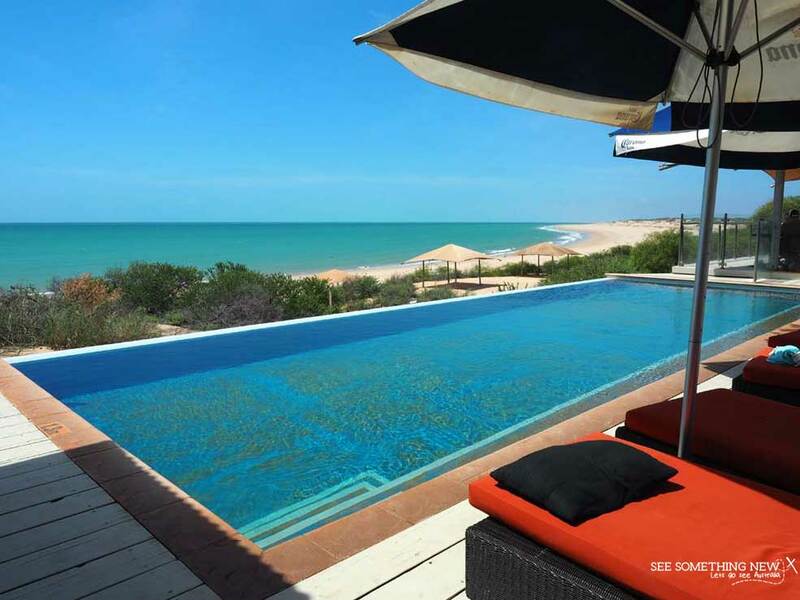 They also have an infinity pool with views of the beach and aqua water. The resort is still very much a boutique experience with modern facilities in a remote location. In fact it is becoming popular for weddings as the resort sets up these stunning beachfront reception tables exclusive to the wedding party (I’ve seen the photos from my friends wedding who got married there)! Eco Beach Resort offers a range of free and paid activities to keep you entertained for more than a weekend. There are self guided walking tracks, free yoga classes for resort guests, km’s of empty beach and caves to explore. You can also hire kayaks and paddle boards or book guided tours, whale watching, fishing charters and helicopter rides. Keep in mind that some of the activities are seasonal and may only run in the dry or peak season. While the pool and free activities are for guests, you don’t have to be staying at the resort to book on their paid activities. 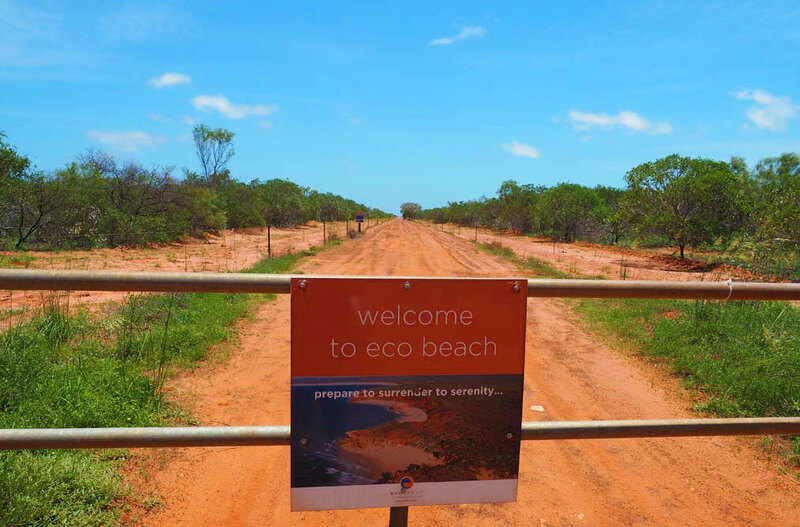 Is the drive to Jacks Bar & Restaurant at Eco Beach worth the effort? Absolutely. The food is good, the staff were friendly and the views are spectacular. We thought it was worth every dollar spent to go on this fun food adventure. 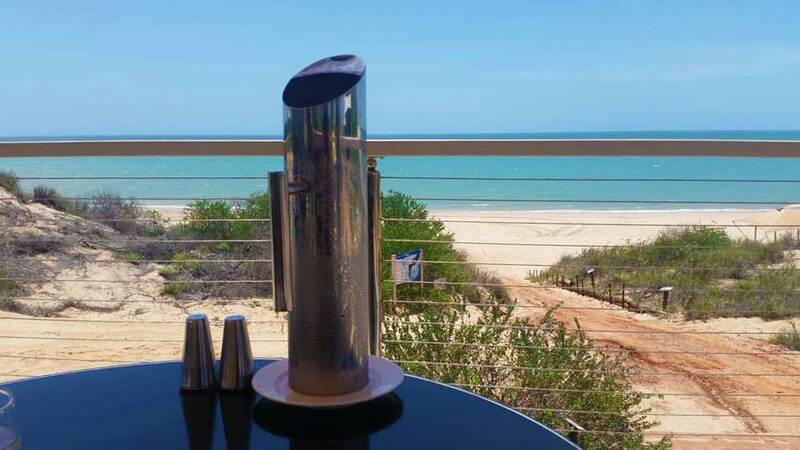 Save this post for later so you remember to visit when its time for your Broome holiday!